The first rumors regarding an LG G2 sequel started emerging last year, so the handset has quite the history as far as rumors and reports go. Nevertheless, apparently we’re still some months away from an LG G3 release, and the time for rumors and leaks has not yet come to an end. The LG G Pro 2 has been announced at CES and later released just as planned, and it’s been keeping the seat warm for the G3 ever since. However, with each passing day, the G3 draws nearer and many fans of the brand are wondering what they can expect from this so-called Galaxy S5 killer, as it’s been known in the past. Today we’ve rounded up the latest and most relevant leaks and rumors regarding the G3. The first rumors suggesting that the LG G3 will feature a QHD display have started traveling the blogosphere back in December 2013. However, lately we’ve seen numerous flagship smartphones that have been previously rumored to arrive with a QHD panel, delivering a Full HD (1080 x 1920) resolution instead. As such, some people have become dubious about the QHD LG G3 rumor, and for good reason. However these rumors from December have been “reconfirmed” on numerous occasions. First, a possible LG G3 variant bearing the model number “LG D850″ has been spotted on LG’s official website, in the form of an XML file. The handset in question has been detailed as a QHD device, featuring a 1440 x 2560 screen resolution. Shortly after that, sources of Phone Arena have allegedly confirmed that the LG G3 will indeed pack a 5.5 inch display, boasting a resolution of 1440 x 2560, resulting in a pixel density of 534 pixels per inch. It is also worth noting that the same “inside source” has suggested that the G3 will come with new software features and “advanced personalization” options. But moving away from the display topic for a moment, a mysterious device known as the “LG-LS990″ (rumored to be none other than the G3) has recently been spotted in a User Agent Profile on Sprint’s official website, and brought to light by MyLGPhones. According to this listing, the smartphone in question will feature 3 GB of RAM, 32 GB of storage expandable via microSD, a 13 MP main camera complemented by a 2 MP front-facing sensor, and Android 4.4.2 out of the box. Yes, the smartphone’s display has also been mentioned, and the UA Prof file has once again reconfirmed that the device will feature a 5.5 inch QHD panel. What’s rather odd about the list of specifications gathered from the UA Prof file is the fact that the LG-LS990 is supposedly being powered by an older generation Snapdragon SoC. More specifically, it’s a Snapdragon 800 MSM8974-AA, clocked at 2.3 GHz. But let’s backtrack a bit and get something out of the way, while we’re on the topic of CPUs. Some time ago there were rumors that the G3 would feature an in-house developed octa-core processor called “Odin.” The Odin CPU by LG is actually a really old project that has yet to become a reality. In any case, it appears that Odin is now ready to enter mass production, but the CPU will be aimed at the low-range market segment. The odd part about the aforementioned UA Prof file and the CPU-related information is not that the G3 has been listed without an octa-core Odin CPU. The issue is that the handset does not boast a more up-to-date Qualcomm chipset, such as the MSM8974-AC, or at least the MSM8974-AB found on the Xperia Z2 and the international HTC One M8. In any case, while a UA Prof file usually contains information provided directly by the manufacturer, this doesn’t mean that LG can’t change its mind in regards to G3′s specifications. In fact, more recent rumors have suggested that the aforementioned flagship will either feature a Snapdragon 801 CPU, or even a Snapdragon 805 SoC. Which one will make it on the final product remains to be seen. The mobile market seems to be steering towards newer standards. The most recent flagship phones are boasting fingerprint sensors as well as waterproof capabilities. The Galaxy S5 is a prime example of how the market is changing, as the gadget in question is the first in the SGS line-up to feature both a fingerprint scanner and water resistance. As far as the idea of a waterproof LG G3 goes, it’s been rumored on numerous occasions that the Korean tech giant will indeed treat the next flagship device with waterproof capabilities. With the likes of Sony and Samsung already populating the high-end scene with such devices, the idea of the LG G3 being water resistant is not at all far-fetched. However, as far as biometrics go, we’re still unsure if LG will adopt a fingerprint scanner on the G3. 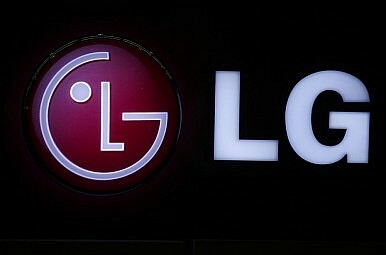 While an LG executive said (back in February) that the company is considering the possibility of adding fingerprint scanning to the G3, we’ve also noticed that LG is more keen on pushing its own security features, such as Knock Code, instead of jumping on the fingerprint sensor bandwagon. I guess only time will tell what LG has decided for the G3 in this regard. It’s quite difficult to pinpoint the LG G3′s launch time-frame, solely because there have been multiple theories so far, some of them canceling each other out. Initially it was believed that the G3 would be hitting the market in May. Subsequently, theories emerged, suggesting that the gadget will be released in August. While this is still a possibility, more recent reports have suggested that the G3 will in fact be unveiled in late June, and released in early July. According to sources from Korea, the manufacturer has decided to move up the smartphone’s release because of how competitive the smartphone market has become. We should also point out that the same sources are the ones behind the idea that the LG G3 could feature a Snapdragon 801 or 805 CPU. Leaks and rumors are relentless, so other questions surrounding the G3 may well be answered soon, as more information becomes available. In the meantime, feel free to join the comments section below and share your thoughts on what these G3-related rumors suggest.